Counsilman Hunsaker in association with Thomas, Miller & Partners designed the 50-meter by 25-yard Tracy Caulkins Competition Pool which includes movable bulkheads, 1- and 3-meter diving boards, and a 45- foot x 75 foot teaching pool. 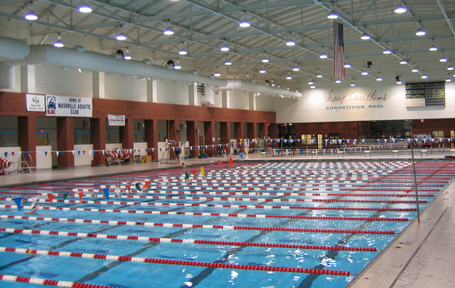 This facility also offers spectator seating and a complete fitness center. The Centennial Sportsplex received the Facility of Merit Award in Architectural Showcase Magazine in 1991.